The Avon 7 x 5 Shiplap Offset Apex Shed is a very eye catching shed and thanks to its offset design, it has a very different look from most other lower priced sheds. The offset design means that a door and a window can be placed on the front of the shed. This gives the shed a very welcoming look. Just above the front of the shed is a good sized overhang which will help keep the front of the shed protected from the rain and snow. 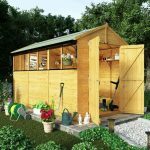 The overall size of the shed makes it ideal for those gardens that are just crying out for a place to store things, but do not have a whole lot of space. While this is not one of the most expensive sheds on the market, some impressive materials and design choices have been made. Most notably is the cladding. They have used 12 mm thick tongue and groove shiplap cladding. This is not only very practical, it is also the main reason the shed has such a smart and classy look. This cladding is attached to a good sized frame that is going to help ensure the shed stays strong for a very long time. We have seen a few sheds from Avon and today we are looking at the Avon 7 x 5 Shiplap Offset Apex Shed. This is a shed that is right now being sold for a truly incredible price. 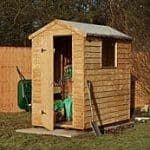 This is a budget priced, somewhat compact sized shed and the kind of shed that is ideal for those who do not have a lot of space and who do not want to spend a whole lot of money. While this is not an overly expensive shed, we like how they have made sure to give it a bit of personality and this is done with this offset design. At a little under 6 feet deep and 7 feet wide, you have a decent amount of floor space to make use of. The height is 6 feet 8 inches along the ridge and 5 feet 6 inches at the eaves. This is a nice amount of headroom and we think that you will be comfortable in here. The roof is the real highlight of this of this shed. We like the offset design and think it gives the shed a great look. The apex roof they have used looks great and it also has a rather deep overhang which will protect the front of the shed that little bit more. The roof is made with 8 mm thick solid sheet boarding and this is what we would expect to see on a shed of this price. It may not be the flashiest roof boarding out there, but at this price range it is what we expected. 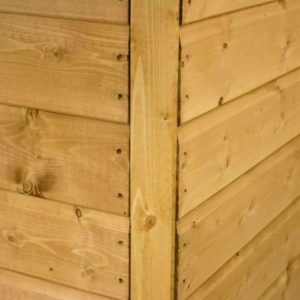 The Avon 7 x 5 Shiplap Offset Apex Shed has some very smooth looking tongue and groove shiplap cladding. We must say that the way this cladding looks, at first glance you would think the shed should be double the asking price as it looks that high quality. At 12 mm thick, the cladding is just as strong as it is nice to look at. Connected to the cladding is a 28 mm x 28 mm frame. This is a strong enough frame which when you consider the thickness of the cladding will make this one very strong shed. The frame while strong, is not too bulky so you do not have to worry about it sticking out too far and taking up some of your storage space. For the floor they have used that same kind of solid sheet boarding that they have for the roof, but here instead of 8 mm thick, it is 10 mm thick. We really would have liked to have seen 12 mm thick flooring in here, but as long as you are just using this for storage and not body slamming your buddies then it will be fine. The whole of the Avon 7 x 5 Shiplap Offset Apex Shed will be dip treated, which is only a short term solution. To really make sure that wood stays free from rot, you are going to have to give it a generous coating of wood treatment shortly after construction. Once a year a fresh coating should be applied. You do this and the shed will give you many, many years of service and stay looking fantastic while it does it. Like most other Avon sheds, this one comes with a ten year anti rot guarantee. This is the standard kind of guarantee for a shed like this. 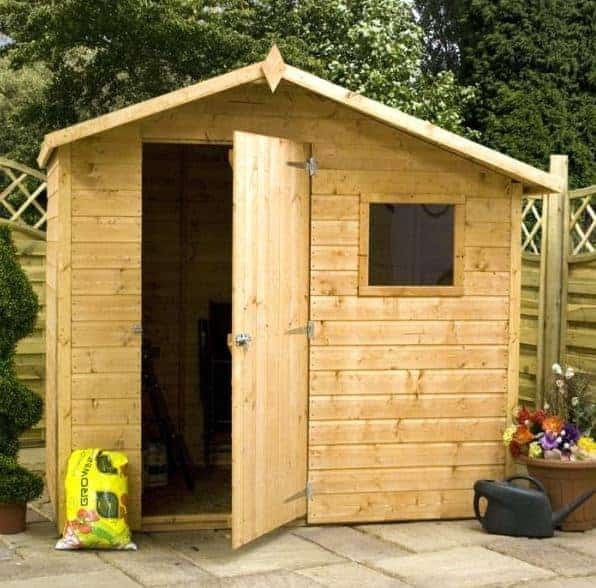 Also like other similar sheds, the guarantee is only valid as long as you treat the wood. We really like how the offset design means the door sits more on one side of the shed. It gives it just that little bit extra personality and we really think it looks smart. The door is actually very well made, especially when you consider the price. The door has z framing and is kept in place with some strong hinges. At 5 feet 5 inches high and 2 feet 5 inches wide this is a door that is also a very good size, so getting things in and out will not be too much of a struggle for you. There is one small styrene window on the front of the shed and we really like the look of it. Again this is possible thanks to the offset design and we think that having the window just next to the door looks very good. The window does not open, but again this is a more budget priced shed so we are not all that surprised. The door is kept firmly in its place thanks to the included pad bolt. It was a very welcome surprise to see a pad bolt on here as most sheds in this price range will have a simple turn button catch. Adding a padlock to a door like this is very simply and will not cost you much money either. We think that this is actually a pretty private shed. There is a window, but it is only on the front. The sides of the shed are fully boarded so you could always make sure that one of these sides is facing the public. Even if this is not an option, the window is not huge so it is not exactly easy to sneak a look inside. The Avon 7 x 5 Shiplap Offset Apex Shed is a shed that we feel has a very smart look to it. 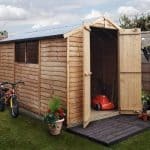 We know that some of you love to put your own little touch on your shed and the easiest way to do that with this one is with the treatment. There are so many different colours of wood treatment out there that no matter what your style is, you will find a wood treatment that suits you. There are actually quite a few different extras available with this shed. They have numerous different shelving options which start at £24.99 for a simple three tier set of shelves. They also have a 5 foot high set of shelves that come in at £63.99. 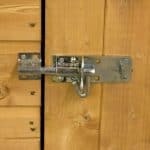 As well as shelving they have a couple of different security options, such as the Yale Deluxe Shed Alarm Security Kit which comes in at £29.99. They do also have a home installation service, but at £199.99 that adds a lot of money onto the price of the shed. We know that the floor and the roof are not the highest quality, but the rest of the shed is very well made. It is even more impressive when you consider this is coming in at under £400. You can get a lifetime of use out of this shed, but it is going to need a helping hand from you. A helping hand that is holding a paintbrush to give it an annual coating of wood treatment. 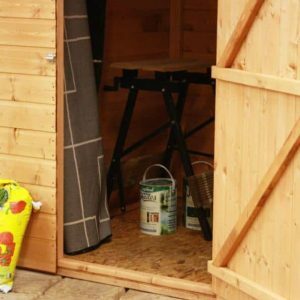 While not the largest shed, we still feel that this offers plenty of storage space, especially if you are a little crafty with how you organise your belongings. We do not see anything too hard here. Nothing that is going to make you Hulk out and start getting very angry. Just be sure to have someone you can tolerate for a few hours helping you out and you will be fine. 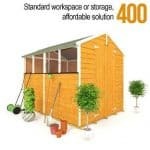 At under £400 this is a very affordable shed. We think that the asking price is very fair, especially if all you are after is a bit of storage space that has some personality to it. 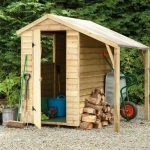 Final Thoughts: The Avon 7 x 5 Shiplap Offset Apex Shed may not win any awards for being the most high quality shed in the world, but we still really like it as it is offering you a decent amount of storage and it has a look which will make it a positive addition to your garden. The offset design is very smart and it certainly gives this a bit more of a modern look that most other similar sized and priced sheds. 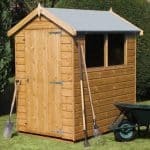 If you just want somewhere that you can store a few tools, gardening equipment or even the kids outdoor toys and bikes, then we feel that this is the kind of shed that would be perfect for you.